Psychotherapy is usually suggested as a component of cocaine-treatment programs, both inpatient and outpatient. Typically, the therapy is based on psychodynamic theories of substance abuse. This means that intrapersonal factors and underlying personality disturbances are considered causes of cocaine abuse. It is presumed that cocaine is used to cope with painful emotional states, and that issues such as separation-individuation, depression, and dependency must be resolved to maintain abstinence. The therapist tends to adopt an exploratory role that promotes insight into interpersonal and intrapersonal conflict underlying the cocaine dependence. Increased insight is presumed to result in a reduction in the underlying problems, which, in turn, should help promote cocaine abstinence. The psychotherapeutic approaches for cocaine abusers are generally similar to the approaches for abusers of other drugs, although treatments for Alcoholism and drug abuse have evolved somewhat differently and the models used may conflict at certain points. A great deal of discussion has been generated about these conflicts in combined treatment for alcohol-and drug-dependent patients, but, overall, the literature is positive about the merits of combining approaches. One common type of psychotherapy for cocaine dependence is supportive or supportive-expressive psychotherapy. This therapy in combination with pharmacotherapy has demonstrated some efficacy in research with Heroin-dependent persons. Initially, supportive psychotherapy focuses on acknowledging the negative consequences of cocaine use, accepting the need to stop using, and helping manage impulsive behavior. The therapist and user explore ways to stay away from other users and high-risk environments. The focus of treatment then shifts to insight-oriented psychotherapy in which the therapist s role is to facilitate the exploration of underlying reasons for the cocaine abuse. Long-term abstinence depends on the degree to which the underlying psychic disturbances are re solved. A study from the 1990s has led some researchers to conclude that low-intensity psychotherapy was ineffective with the majority of their subjects. Interpersonal psychotherapy (IPT) was originally developed for and found to be effective with Depression and was adapted for opiate addicts and, later, cocaine abusers. This psychotherapy for substance abusers is based on the premise that drug abuse is one way in which an individual attempts to cope with problems in interpersonal functioning. An exploratory stance focuses on interpersonal relationships and the impact of drug abuse on these relationships. In helping the patient stop his or her substance abuse, the practitioner selects the important components of treatment. They may include documenting the adverse effects of the drugs compared with their perceived benefits, identifying the thoughts and behaviors that precede drug use, and developing strategies to deal with drug-related cues and high-risk situations. Only after attaining abstinence are interpersonal difficulties directly addressed, including the roles of drug use in these relationships. A key strategy with IPT is to develop more productive means for achieving the desired social gratification or tension reduction for which the drug abuse substitutes. In a multiple drug abuser, this substitution may differ markedly for various drugs. 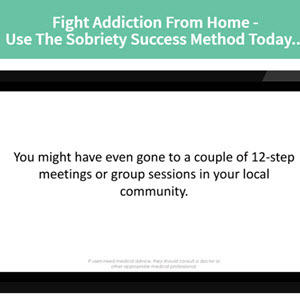 For example, the abuser may be using cocaine to reduce social isolation and to ''meet exciting new people'' but may be abusing alcohol because the cocaine ''crash'' is reduced by the alcohol. Since only the cocaine, and not the alcohol, is directly related to the social deficit, only the cocaine abuse will directly benefit from interpersonal therapy. In general, the interpersonal impact will be somewhat different for the abuse of licit drugs such as alcohol, illicit drugs such as heroin and cocaine, and drugs such as benzodiazepines. Among cocaine addicts, for example, the licit drugs such as alcohol are often used in response to interpersonal tension, while the illicit drugs such as heroin lead to consequences of increased interpersonal tension, rather than being used in response to tension. In summary, IPT must identify the relationship of each particular drug to the interpersonal setting as either primary association or secondary to other drug effects and as either a tension reliever or inducer.